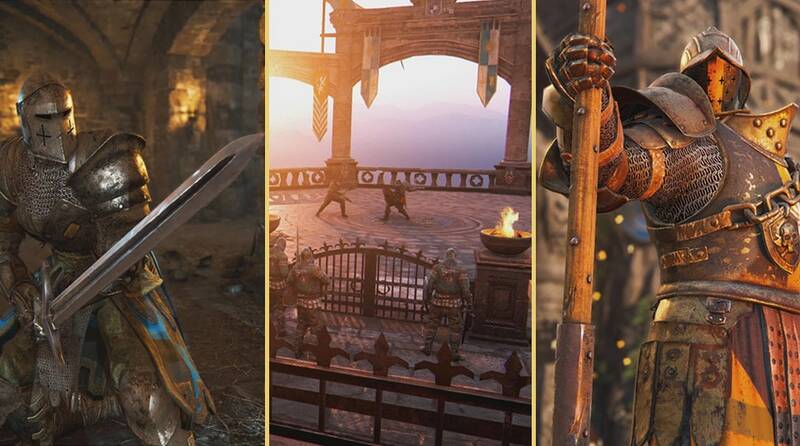 Marching Fire brings 4 warriors of the Wu Lin faction who march West in search of glory: The Shaolin with his mighty staff; the Tiandi wielding the dao blade; the Jiang Jun, master of the guandao; and the Nuxia, artist of the hook swords! All of them come with Weapons, Outfits, and exclusive Effects! The Tiandi is able to use a graceful series of dodge attacks to weave through combat and avoid the opponents’ strikes. The Tiandi is the most agile of all the vanguards. The Tiandi can unbalance an opponent with a Kick and create opportunities for allies to land big damage. The Shaolin is a fast-paced combatant with a huge array of tools at his disposal. With his Staff, he is highly mobile and can alter his combat flow by entering a special Qi Stance that gives him access to powerful and varied special attacks. The Nuxia is an agile fighter wielding dual hookswords. She has great abilities to isolate opponents into a duel situation, and then uses a barrage of mix-ups to strike them down. She has a unique direction-based attack ability called “Trap”, which only strikes opponents who are actively blocking/parrying/deflecting. The Jiang Jun is a relatively slow but powerful and durable fighter. Wielding a heavy Guandao, he specializes in surviving group fights. His Dodge Attack and Sifu’s Poise help him to navigate the battlefield while his multiple Zone Attacks help to keep his adversary at bay. Live the fantasy of a full-blown castle siege with Breach! Lead your army to victory as you breach the gates of a fortified city with a massive battering ram, or stand your ground against the invaders with archers, cauldrons, and ballistas! Introducing new rules for giving rewards for Breach: on top of the player performance (Kills, Executions, etc. ), game mode (Breach), game type (PVP or PvAI) and the match result (Win, Lose, Tie), we are also taking in consideration the Time Spent in the match. Developer Comment: Since the duration of the Breach game mode may vary a lot according to which phase the end comes, we are testing new ways to give rewards for players that takes into account the time they spend in an activity. The intention is to keep the rewards balanced across all modes and give autonomy for the players to decide how they want to progress based on the mode they want to play and not just the rewards. Discover Walled City, a fortified city built by the Knights. Fight in Hallowed Bastion, a sacred place for the Vikings. Explore Kazan Castle, a Samurai fortress that stands near a grand mountain. Discover Arcade, a new PvE experience that you can play alone or with a friend! Choose your difficulty, fight unique Quests with our randomly generated content and win exclusive rewards. Heroes in Arcade and Multiplayer games share the same progression! Arcade comes with 3 exclusive rewards: 1 Embossing, 1 Ornament and 1 Battle Outfit for each of the 22 heroes (66 rewards total). Players that don’t own the expansion but are invited by friends that own it have the same chances of acquiring these rewards. Rewards drop randomly at the end of a Quest and the higher the Quest rarity, the higher the chances of getting rewards. XP, steel and gears are also rewarded by playing Arcade. The payout range between PvAI and PvP rewards, depending on the difficulty chosen. Rewards work similar to Tournaments: it prioritizes the hero played, but if you get the rewards for that character, you start receiving random rewards for other characters. Arcade also considers the Time Spent in the activity, just like Breach. Developer Comments: On top of being a new activity to earn the regular rewards (Steel, XP, and Gear), we wanted Arcade to come with its own exclusive cosmetic rewards. Gear Stats are now replaced with Perks. You have not lost any gear, we just converted them to Perks. We've also gifted you 5 Scavenger Crates to get you started! Perks are gameplay effects that allow more synergy and strategy. Combine and upgrade Gear Parts to activate them. See your inventory and the "Perk Definitions" page in the game menu for more details. Developer Comments: With Marching Fire, we want to bring new interest, options, and complexity to the Gear System. The Perk system allows you to create builds based on your playstyle and different Heroes to have options that better reflect their gameplay. There’s lots of new effects and combinations to explore! We’re eager to see the community’s response and feedback with the new system. Each Hero has access to a specific set of 7 Perks. We are releasing 21 Perks total distributed across all Heroes. Perks are activated by accumulating 600 points for that Perk on your equipped gear. Default gear will always be sufficient to activate 1 perk. Non-Recruited Heroes play with the Perk activated by their default gear. Perks can be enabled/disabled in individual activities and custom matches, just like Gear Stats were. The amount of points gear can give and which perks are available are determined by the gear rarity. Each Perk on the Gear can be upgraded / refined individually. Refinement allows you to get more efficient combinations of gear to activate Perks, but is not required for the system. Thumbnails now show the Icons, upgrade steps, and refine steps of the perks on the gear. When in the Advanced View in the Gear Selection, Thumbnails also show the amount of points on each perk. Gear details now show the icons, crafting steps, refine steps, and amount of points for each perk. Unlocked Hero’s current activated perks are shown with their loadout from the Hero grid. The gear selection menu has been updated to show Perks instead of Gear Stats. The list of all the perks available for a Hero are shown in the menu. Can clearly see which perks are available at the rarity you can loot. Shows the amount of points accumulated with currently equipped gear. Shows the amount of potential points that can be upgraded/refined with currently equipped gear. The points shown and potential points shown update with the current selection so you can compare the impact of that gear. Players can see all the perks on all their equipped gear by accessing the Advanced View from this screen. You can see the Perks of your allies in the Lobby by toggling the Hero Overview. You can see the Perks of your allies & enemies from the Face Off by toggling Hero Overview. You can see the Perks of your allies & enemies & bots from the scoreboard in-game. The possible combinations are the same for all heroes, but the Perks each letter represents changes. The following combinations are maximised combinations, of course you could have non-optimal combinations or even combination that activates no Perks at all. Developer Comments:This is different from the Marching Fire - Open Test since B & C can not be activated together anymore at Common rarity. We made this change to make it easier to keep your Perk activated when experimenting early on. Stats on your non-equipped gear will be updated with a variety of Perks from what is available at that gear’s rarity. The perk is determined by rarity. Developer Comments: This is different from the Marching Fire: Open Test since legendary gear now gets A & G, to make sure that players who have upgraded their gear get to try the last Perk of their set. For Honor now greets players in a new Main Menu which allows you to access all the features and content more easily. The Landing page displays one of the Heroes at random and features its current customization. If the Hero is already customized, you will see the last used loadout. The Game Menu, accessed by pressing Start or F6, has been improved and allows players to access additional content and options from anywhere in the game. Players can now see in the Header how many of their friends are online at all times while navigating the menus. When in a match or in the lobby this features is disabled. The lobby now features a new Hero selection screen. What is their previously played Hero. What is their selected Hero. What Perks the hero has activated. The Hero grid has been updated to support additional Heroes and Factions. The Hero Details screen has been updated to cater to Perks. The intention is to improve the overall visual player experience. All the updates listed below work with each others, and they will help to create a more harmonious image, better natural look, feel, and will improve overall image quality. It will bring better readability of what you see on screen which can help gameplay as well, overall immersion will be increased. We hope that our players will enjoy the result of this huge rework of the 3D programming and art team. Major upgrade of the Global Illumination. Developer Comments: Global illumination is the way lighting is calculated and rendered, the new model has more precision and propagates light in a more convincing and realistic way. Developer Comments: Total rework of the sky tech, calculations are more physically correct that helps to reproduce the atmosphere and the sky in a more realistic way, ambient lighting will have better natural feeling. Procedural clouds also have been reworked, they feel more realistic, bring more depth to skies and interacts well with the overall mood and the ambient lighting. Complete rework of all textures of the game. Developer Comments: Environment textures have been reworked and enriched to bring more clarity, more details and are less monochromatic. Textures of characters, weapons and ornaments have been calibrated as well, this huge overhaul update also helps to work better with Global Illumination. New tone mapping and color grading. Developer Comments: These two elements will enhance texture details while preserving overall image quality. Pick up a new Hero or master a Hero you've come to love with this new training mode! Select a Hero, enter an arena, and practice specially constructed Tactics and Moves. Face off against bots uniquely designed to help you master selected moves. When you're ready, head over to the Arena to practice the new Tactics and Moves you have just learned. Developer Comments: Hero Tactics has been developed to give you a new tool to master your Heroes by learning specific tactics, moves, and chains. We loved developing this much needed feature and hope it helps you become a formidable force on the battlefield! 6 new achievements were added for the Marching Fire Expansion on all platforms. Breach Apprentice: Win your first Breach match. Breach Master: Complete 15 Breach matches. Quest for Glory: Complete your first Quest in Arcade. Serial Quester: Complete Quests of 5 different rarity levels. An Unstoppable Force: Complete 10 matches with any Wu Lin Hero. Loyalty and Righteousness: Reach Reputation 7 with one of the Wu Lin Heroes. Developer Comment: Breach, Wu Lin characters, Arcade. To celebrate this huge expansion with so much content we introduce new achievements for players to pursue. The new Victory Screen will be displayed at the end of each match for team based game modes, please note that it’s not available in Duels. The Victory Pose selected will play at the end of the match, if the player is part of the winning team. Each character start with a default pose. Extra Victory Poses can be acquired with steel. Players are able to select Victory Poses in the Signature menu that is located in the Hero Customization Screen. End of match cinematics were removed so the end game flow is not longer than what it currently is due to the new vanity screen. Developer Comment: We introduced new ways to celebrate a victory and customize your characters. Custom matches that are launched with more than 1 player will now be hosted on Dedicated Servers. Matches launched with 1 player will remain P2P even if other players join after the match has started. After a game of Breach, if the player choose to rematch, they will change sides. So if your team was on the Defender side, you are guaranteed to be playing as an Attacker but only if you rematch. Team shuffling has been added in-between matches. The system will identify the more balanced alternative team distribution based on skill rating and shuffle the teams accordingly. Note that no groups will ever be broken up. In Breach, the Team Shuffling will occur before the Team Swapping so the system will prioritize the balance of the teams before the performing the Team Swap. Ever wondered what lies behind the mask of the Nobushi or the Peacekeeper? We've groomed our original cast of 12 heroes with brand-new Armors! We also bring you more Weapons and Armor variations for all our Heroes! 2 Legendary weapon sets were added for all Heroes released before Marching Fire, plus 18 weapon sets for the Wu Lin Heroes (6 Common, 4 Rare, 7 Heroic, 1 Epic). Developer Comment: We added new weapon and armor variations allowing for even more customization options for all of your heroes. 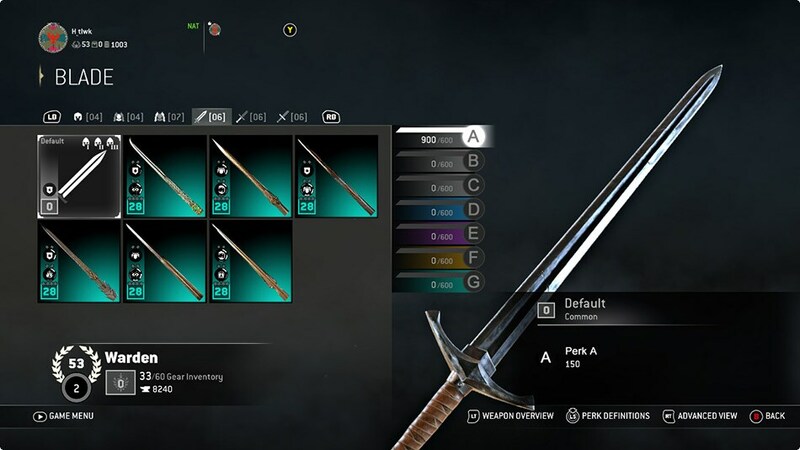 More Epic and Legendary weapons for the Wu Lin characters will be coming soon, along with one extra armor variation for the original cast of 12 heroes. All the 12 original Heroes received a visual upgrade to their previously released weapons. New Ranked rewards were added to the loot bank. Developer Comment: Following the season 8 update, we added more rewards on top of the existing ones. Previous seasonal rewards will continue to drop this season. 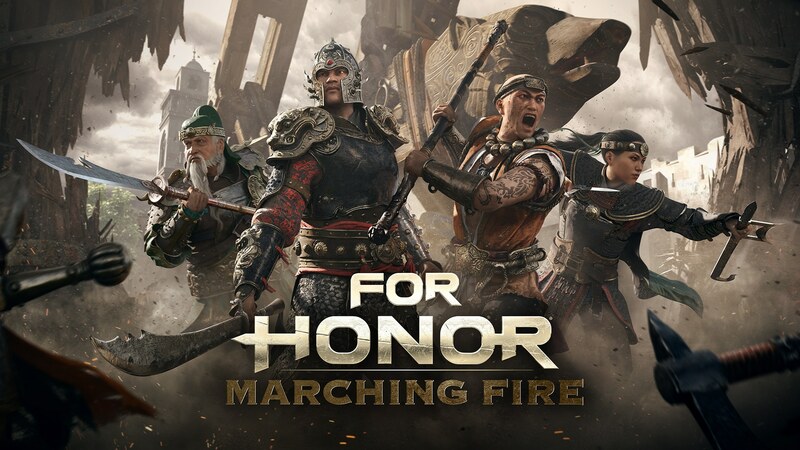 Starting with the Marching Fire update, the price of all 6 Year 1 DLC characters is reduced 10,000 steel (from 15,000 steel). This affects: Shinobi, Centurion, Highlander, Gladiator, Aramusha and Shaman. Developer Comment:With the release of Marching Fire and the introduction of the 4 new Wu-Lin Heroes, we’ve decided to lower the Steel cost of the Year 1 DLC Heroes as to improve their accessibility . The price of the Heroes Bundle is dropping from 50,000 steel to 25,000 steel. 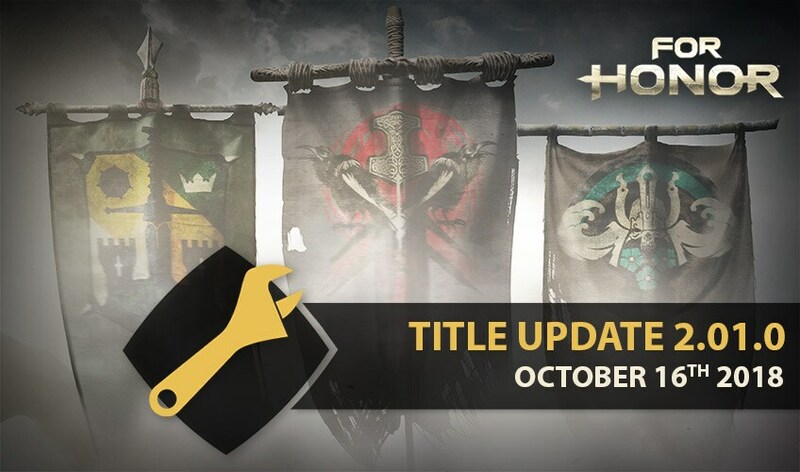 Developer Comment: We have decided to update the price of the Heroes Bundle according to the original game permanent price drop starting at Marching Fire release. We have given all heroes the ability to use their Chained Attacks while Out Of Lock against Soldiers, Pikemen and Archers. These Out Of Lock Chained Attacks also do not end the strike portion when hitting a Soldier/Pikeman/Archer – which allows the hero to “cleave through” nearby minions. Developer comment: This should improve the ability of players to clear these minions. Previously, we had very long animations when attacking minions while you were Out Of Lock, but these were very inefficient at clearing the minions (Shaman or Highlander’s very long animations, for example). Previously, we’d see heroes like Aramusha enter a Lock State to fight these minions most efficiently. So now, we instead allow the Out Of Lock Chained Attacks to be a strong option to clear these enemies. Furthermore – we’ve improved some targeting and movement issues involved with selecting which opponent to launch an Out Of Lock attack towards. Rolls now have 300ms vulnerability to Guard Breaks at the start of their animations. Developer comment: While we want Roll to be a useful option to escape from outnumbered situations, we do not want it to be a consistently safe option to escape most mix-ups in 1v1 situations. Rolls now all have 200ms at the end of their animations where the player can get Guard Broken but still be able to Counter it. Developer comment: It felt bad to time a Guard Break against an opponent rolling to hit near or at the end of the roll animation only to bounce off because the whole rolling animation was 100% invulnerable to Guard Breaks – and you’d be vulnerable for the failed Guard Break. The full Dodge Unlock Roll animation is 300ms longer. The same length as a Double Back Dodge Roll. Developer comment: Dodge Unlock Roll was the better roll to use at all time since it was shorter than Double Back Dodge Roll. In all Game Modes, Soldiers and Pikemen’s attack now interrupt Revive, Execution, and Interactions. Developer comment: The intention is to allow these minions to be used as strong ingredients – you will need to control the space around an attempted revive/execution/interaction now. Changing stance while activating Revenge no longer removes the ability to Unbalance attacking heroes. Side Heavy damage increased to 40 damage (from 30). Infinite Top Light damage increased to 16 (from 12). All Deadly Feint attacks are normalized to 400ms (sides were 500ms). Side Heavy Opener now causes a Medium Hit Reaction (was Heavy Hit Reaction). Side Light Cancels now cause a Light Hit Reaction (was Medium Hit Reaction). Infinite Top Light is now 500ms (was 400ms). Side Heavy Opener, Top Light Opener, Infinite Top Light, Infinite Top Heavy and Deadly Feint now branch to Infinite Light at 200 ms into the Hit Recovery (was 100ms). Developer comment: Aramusha has been in a difficult place in terms of player perception. o Aramusha seems too strong for newer players to handle but at the same time, too weak for top players to use. This patch will not solve all the issues, but the intention is that we make small improvements for both types of players. The most important change is about clarity. o The Timing Changes mean that the Side Heavy no longer guarantees a Top Light, which should help players understand when they can block, and when they were just too late to react. Furthermore, the nerfs to the Tempest Chain are meant to make it easier for entry level opponents to defend against, while the buffs to Deaf Feint are meant to help Aramusha players have an offensive option at higher level of play. Developer comments:This is a step toward achieving a better balance with the feats. As we are looking into pick-rates, win-rates and power level, we are rebalancing some of the outliers to better address feat balance going forward. We’ve broken them down into 3 categories: Traps, Area of Effect, and Buffs and Debuffs. Developer comments: Traps have been changed in an effort to remove infinite trap placement. Traps were too effective at blocking a path or protecting a point. With these changes we want to make trap placement more meaningful, while normalizing how much time it takes to place one down from one hero to another. We are also limiting the number of Traps of the same kind that can be active at once to one. You can only have one Stun Trap active, putting a new one down will remove the other one. (Previously you could place as many traps as your cooldown allowed). Cooldown reduced to 60 seconds (from 90). Trap placement time increased to 1000ms (from 700ms). You can only have one Bear Trap active, putting a new one down will remove the other one. Trap placement time normalized to 900ms. Affects Highlander (was 800ms), Valkyrie (was 800ms), Warlord (was 800ms) and Raider (was 1300ms). You can only have one Bleed Trap active, putting a new one down will remove the other one. Trap placement time normalized to 500ms. Affects Shaman (was 700ms), Shinobi (was 400ms), Orochi (was 400ms). You can only have one Fire Trap active, putting a new one down will remove the other one. [Bug Fix] Fixed an issue that caused the trap placement animation to not be correctly synchronized. Damage reduced to 65 damage (from 80). Radius reduced to 4 meters (from 5). Grenade throw now takes 400ms (was 200ms). Developer comments:Igneus Imber is a good tool to put pressure on the enemy team late game, however it’s a little too deadly. With theses changes, we want to keep what makes Igneus Imber an interesting feat while making it a little less overwhelming to deal with. We also want to push more diversity in feat selection and currently Igneus Imber is overly picked. This should put other level 4 feats back on the table as viable choices for the Lawbringer. Cooldown increased to 60 seconds (was 45). Developer comments: Kiai could change the balance of a teamfight very easily and was too spammable. With these changes we want to refocus it towards its intended 1v1 role. Damage reduced to 40 damage (from 60). Radius decreased to 4 meters (from 5 meters). Cooldown increased to 150 seconds (from 120). Projectile launch time normalized to 700ms. Affects Lawbringer, Warden, Gladiator and Conqueror. Developer comments:Pugno mortis on it’s own had higher damage than most other level 3 feats, and put together with other bombs it was too strong in teamfights. Now triggers 600 ms after animation has started (was 1100). Damage reduced to 45 (from 60). Radius increased to 3 meters (from 2). Radius is reduced to 3 meters (from 4). Developer comments: Buffs and Debuffs were too versatile and often too effective. These changes have been made to keep their power levels in check with other feats, while also streamlining them to be more focused on what makes them special. Defense debuff is lowered to +15% damage taken (from +25%). Cooldown increased to 120 seconds (from 90). Attack debuff Removed applied on the opponent is completely removed. Duration decreased to 20 seconds (from 30). Stamina debuff applied on the opponent is completely removed. Damage decreased to 6 (from 10). Cooldown increased to 150 seconds (from 90). Active duration decreased to 20 seconds (from 30). Bleed damage reduced to 5 damage (from 10). Capture rate reduced to 15% (from 50%). Boost duration reduced to 20% (from 50%). With the introduction of Gear Perks, the values for crafting, dismantling and change gear look have been updated. Developer Comments: Due to the nature of the Perks system, we expect players to create more gear combinations. We believe that this reduction of around 30% in the general upgrading cost in salvage, will help players test load outs more often. Based on the feedback from Open Test - Marching Fire we also reduced in around 20% the costs in steel to upgrade the gears, compared to what was tested in the Marching Fire: Open Test. Developer Comments: We are normalizing the cost to change look based on the rarity. This means, that applying a visual unlocked at the current rarity will always cost the same- no matter how crafted the current gear is. We believe that this will make gear management slightly easier since players are not penalized anymore by the order in which they decide to customize their gear and that this process will become less costly. This resulted in a reduction of 20% of the max cost to change your gear visuals. Developer Comments: With the introduction of new refinement levels and the perks system update that allows players to upgrade each perk separately, we distributed the salvage gains through different rarity levels. The ratio between the quantity of salvage gained and the required materials to upgrade a gear was reduced because of this change. [Adjustment] Players who re-enter matchmaking within 5 minutes after finding a match will no longer be match make with the same players, this applied to 1v1, 2v2 & 4v4). This also fixes the “Find New Opponent” feature in Duels. Note that canceling a match making request will reset that list of temporary “blacklisted” players. Voice chat is now activated by default to “Open” (Team Only) on consoles and “Push to Talk” on PC. Go to Options, Audio to configure this improvement to your liking. Move the camera to see the health and stamina bar of allies within range. You can only see one allied bar at a time. Developer comments: We deemed this quality of life improvement even more necessary with the introduction of some very teammate-centric feats. We are reactivating the Quit Penalty for all casual game modes. The Matchmaking Penalty is now set to 900 seconds (15 minutes). Please note that the Penalty will not be applied to all leave reasons like in Ranked. Developer Comment: Developer comment: Following the increase of player’s leaving in casual matches, we set a penalty timer for any player leaving a casual match. Those players are denied matchmaking for the next 15 minutes. This update should reduce the amount of PvP matches in which bots are replacing players. This is a direct feedback from Marching Fire – Open Test on Breach. Map vote can now be changed in the post-game lobby. On Uplay PC, additional Audio Languages can be downloaded by selecting them in game properties. Developer comment: To reduce the initial download size on Uplay, only the audio files of the selected languages on first installation will be downloaded. If additional audio files are preferred later, those can be added by changing the game language in the game properties of the Uplay PC client. On steam all languages will be downloaded on initial installation as before. On Xbox One, additional Audio languages can be downloaded from the games Language Options menu. Developer comment: To reduce the initial download size on Xbox One, only the audio files of selected languages on first installation will be downloaded. If additional audio files are preferred later, those can be selected in the in-game language options menu. [Bug Fix] Fixed an issue that sometime caused multiple heroes to be able to use special attack through railings or barricades. [Bug Fix] Fixed an issue that allowed players to keep their full Revenge Meter by attacking minions. [Bug Fix] Fixed multiple issues that occurred at the top of a ladder when several players were attempting to climb the ladder at the same time. [Bug Fix] Fixed a cosmetic issue that caused the Heroes to skip their "Get Up" animation when blocking an incoming attack. [Bug Fix] Fixed an issue that allowed the Warden to perform "Crushing Counterstrike" on minions. [Bug Fix] Fixed an issue that caused the Lawbringer to not have proper out of stamina animation while moving. [Bug Fix] Fixed an issue that caused the Lawbringer's "Hand-On Approach" execution to be missing some blood visual effects when the weapon is pulled from the opponent. [Bug Fix] Fixed an issue that caused the Peacekeeper's right-hand sword to not glow in revenge mode. [Bug Fix] Fixed an issue that caused the Berserker to play a sliding animation while walking in backward. [Bug Fix] Fixed an animation issue when performing "Shield Tackle"
[Bug Fix] Fixed an issue that caused the Stun Symbol to be shown in the Chains (when it is only meant to be visible when describing the Light Finisher – the move that actually causes the Stun). [Bug Fix] Fixed an issue that caused the Valkyrie to be unable to use her punish if her Sweep hit an ally before the targeted opponent. [Bug Fix] Charge attacks no longer reduce the stamina cost of the strike. [Bug Fix] Charge attack feints no longer pay the feinted attack's stamina cost. [Bug Fix] Fixed an issue that caused the Orochi’s Guardbreak to have a shorter range than other Heroes while out of Stamina. Guardbreak range is now 1.85 meter (from 1.65). [Bug Fix] Fixed a cosmetic issue when sliding down a ladder. [Bug Fix] Fixed an issue that caused the Shinobi to play a sliding animation while walking in backward. [Bug Fix] Fixed an issue that caused the Gladiator to go out of focus of the camera while performing the “Bamboozle” move. [Bug Fix] Fixed an issue that caused the Aramusha to play a sliding animation while walking in backward. [Bugfix] Adjusted the collision to allow for a more fluid navigation across all maps. [Bug Fix] Fixed an issue that caused the Bots to not be able to use ladders if a player is already on it. [Bug Fix] Fixed an issue that caused the player to remain stuck on some barrels after performing a drop attack in a specific area. [Bug Fix] Fixed an issue that allowed the player to get out of bounds in a specific area. [Adjustment] Adjusted the location of the Attacker Shrines to limit the benefits of turtling during Tribute matches. [Bug Fix] Fixed an issue that prevented the Player from receiving the Centurion’s “Phalanx Defence” boost if the Player is revived inside it. [Bug Fix] Fixed an issue that caused the feat “Tough as Nail” to restore full health on activation, this is no longer the case. [Bug Fix] Fixed an issue that prevented the match winner to gain rank when his opponent quits before the end of the match. [Bug Fix] Fixed an issue that caused the controller to not vibrate whenever a match is found while having For Honor running in the background. [Bug Fix] Fix an issue that caused some Bots to be unable to flee Area of Effect feats like “Catapult” or “Fire Flask”. [Bug Fix] Fixed an issue that caused the Bots to bump into each other when trying to use Ziplines. [Bug Fix] Fixed an issue that caused the Revive Icon to appear before the player can actually be revived. [Bug Fix] Fixed an issue that caused the user to be unable to send a “Friend Request” from the player Profile Card menu. [Bug Fix] Fixed an issue that caused the Loading symbol to not be displayed on the “Game is about to Start, Get Ready” screen. [Bug Fix] Fixed an issue that caused the user to be redirected to the Main Menu instead of Graphics Settings page after canceling Benchmark sequence. [Bug Fix] Fixed an issue that caused an incorrect move to appear in the attack stats interface of the Arena, the Highlander’s “Enhanced Light” attack appeared as “Chain Top Light”. [Bug Fix] Fixed an issue that caused the Aramusha to not play any sound when being unbalanced. [Bug Fix] Fixed an issue where in Custom Match, when the match was set to "No Damage Taken", the Geyser in some maps would still cause damage. [Bug Fix] Fixed an issue that caused the Bot’s to not react properly to Area of Effect feats. They will now attempt to flee the Area of Effect of those Feats. [Bug Fix] Fixed an issue that caused the Tattoo “Coiled Snake” to be missing from the Raider’s “Reputation 30 - Dragon Disciple” outfit. [Bug Fix] Fixed an issue that prevented “Fervent Fever” color swatch to not be available for Attackers. [Bug Fix] Fixed an issue that caused the “Dawn of War” color swatch to be removed from the Attacker. “Dawn of War” is now once again available for Attackers. [Bug Fix] Fixed an issue that caused the Warlord’s hand to clip through his shield during the “Kill Card” emote. [Bug Fix] Fixed an issue that caused the Conqueror’s flail to clip through his shield during the “Kill Card” emote. [Bug Fix] Fixed an issue that caused the Conqueror’s flail to flicker during the “Kill Card” emote. [Bug Fix] Fixed an issue that caused the Conqueror’s flail to flicker during the “Yes You” combat emote. [Bug Fix] Fixed an issue that caused the Warlord’s shield to clip with his hand at the end of the “Volcanic Destruction Blast” emote. [Bug Fix] Fixed an issue that caused the Shinobi’s weapons to momentarily float when interrupting the “Fresh to Death” emote. [Adjustment] The controls for Zooming In or Out while in Tactical Camera have been change to Mouse Wheel, so if you have changed the default controls for this feature they will be reset to default. Top Heavy Opener increased to 35 damage (from 30). Side Heavy Openers increased to 30 damage (from 27). Light Finisher increased to 14 damage (from 12). Heavy Finisher increased to 37 damage (from 35). Palm Strike can now chain with Finishers on miss. Dragon Kick no longer stagger on walls. Side Dragon Dodge now is performed at 200ms during dodges (from 100ms). Side Dragon Dodge is now better at dodging attacks. [Bug Fix] Fixed an issue that caused the controller to rumble on a missed the “Palm Strike”. Holding the Qi Stance now halts stamina regeneration instead of draining stamina. Note that entering Qi Stance still costs 5 stamina. Top Stance Bounding Blossom now inflicts Stun. Top Light Opener increased to 12 damage (from 10). Death Point Strike and Death Point Strike Alternate’s 2nd and 3rd hits’ damage is now 6 (from 5). The total damage for the attack is now 24 (from 22). Developer Comments:These changes are done so opponents will not gain as much from running away against a Shaolin, and make it a bit easier to deal damage overall. [Bug Fix] Fixed an issue that caused the Shaolin's staff to flicker while viewed in the Hero Customization screen. Song of the Moon’s 2nd Light attack in chain increased to 13 damage (from 11). Song of the Moon’s Light Finishers increased to 11 damage (from 9). Trap Attack now initiates chains on miss. Developer Comments:Based on feedbacks from the Open Test, we heard that Nuxia was too vulnerable to a missed Trap. So now, if the opponent *reacts* to the Trap, the Nuxia can cover that window of vulnerability with an attack. For the opponent, if they *predict* the Trap, they can still punish that, although they’ll have to attack early enough that they’ll lose if they incorrectly predicted and it was real Heavy. [Bug Fix] Fixed an issue that caused the Nuxia to slide backwards when trying to perform a “Trap” while holding backwards. [Bug Fix] Fixed an issue that caused the Nuxia’s weapons to sometimes be offset during her Trap’s. Light Openers increased to 18 damage (from 15). 2nd Lights attacks increased to 20 damage (from 18). Fatal Swirl increased to 28 damage (from 25). Sifu Swirl increased to 28 damage (from 25). Dou Shi’s Swirl increased to 28 damage (from 25). Mighty Backlash is now better at dodging attacks. Might Attack Cancels now occur at 400ms (from 500ms). Mighty Sanction Cancel (kick) now Staggers. Mighty Sanction Cancel (Kick) branches to Finishers at 200ms (from 100ms). [Bug Fix] Fixed an issue that caused Fatal Swirl to become unparriable. XP gained per minute has been increased by 55%. Steel gained per minute has been increased by 20%. Those numbers apply both to victories and defeats. Ticket distribution is now 24 at start; 16 at the Outer Gate; and 4 at the Inner Gate (from 20 at start, 16 at the Outer Gate and 4 at the Inner Gate). Ram health is now 9000 (from 9900hp). Added a condition to prevent block reactions to play when hit by a minion. Added a condition to prevent block reactions to play during a dodge. Added a condition to prevent block reactions to play during an active parry. Added a condition to prevent hit reactions to play during active parry. [Bug Fix] Fixed an issue that caused the player to remain stuck in place when reviving a teammate that respawns. [Bug Fix] Fixed an issue that caused the Guardian boost visual effect to stutter when gained. [Bug Fix] Fixed an issue that caused the Players to be able to revive a teammate that is located under the Ram which resulted in instantaneous death. Default bundles values have been upgraded from 100 to 150. The amount of perk combinations at basic rarity have been decreased to make it easier to activate a perk. We are now greying out Perks that are not available to unlock due to the other Perks being already activated. 5 Scavengers Crates will also be granted to all Players. [Bug Fix] Many minor fixes and map optimization. [Adjustment] During Phase 1, the spawn point of the Pikemens defending the 1st Capture Point has been pushed back a few meters. [Adjustment] During Phase 2, the landing point of the Zipline that starts at the Defender spawn point has been moved closer to the Side Lane. [Adjustment] During Phase 2, the Shield Boost has been move to a more balanced location. [Adjustment] During Phase 2, a ladder has been has been added that leads from the Main Lane to the 4th Capture Point. [Adjustment] During Phase 2, the Rally Flag is now more visible from the 5th Capture Point. [Adjustment] During Phase 2, the Rally Flag is now visible while in Tactical Camera. [Adjustment] During the King Phase, we decreased the King's engagement area radius so he does not charge to far into the Main Lane. [Adjustment] During the King Phase, we added another obstacle to the Main Lane to make it more manageable. The Pikemens will be better funneled in the Main Lane and Players will have more protection from the Ballista.